 Looking back over the years since I opened Claremont Rug Company in 1980, I occasionally reflect on decisions that were made early on that have proven extremely important to building our business. I have always been deeply passionate about antique Oriental rugs. I have consistently believed that the best examples from what I termed “The Second Golden Age of Persian Weaving” (ca. 1800 to ca. 1910), are exceptional works of art that deserve to be presented with the same level of dignity as other more widely recognized art forms. From this standpoint, I came to see that these rugs were and remain tremendously undervalued. 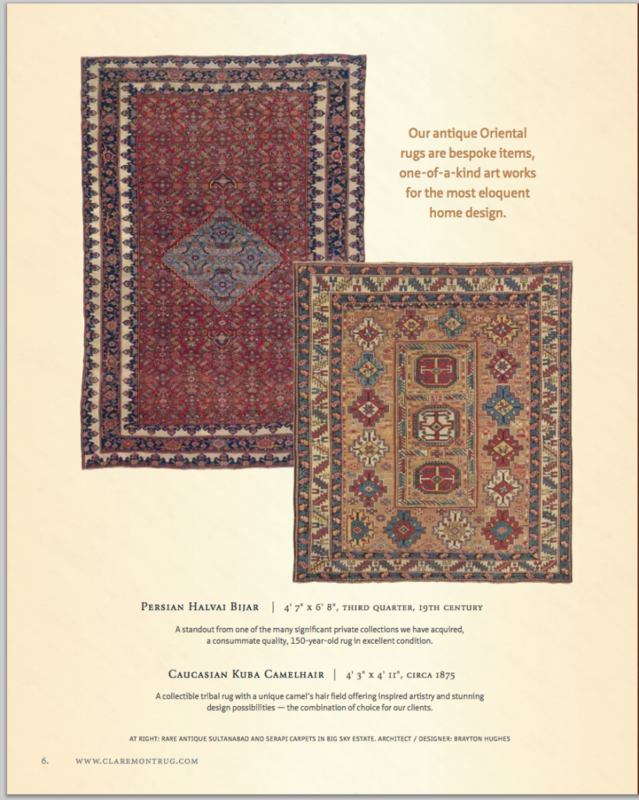 The current catalog from Claremont Rug Company contains 29 rugs for sale. Throughout my career, I have stayed true to this clarity and in doing so have built an inventory of more than 3000 decorative to museum level pieces, which now serves a global clientele. This has been accomplished with little print advertising, no participation in outside trade shows or auctions. One path that I have chosen in place of these traditional methods of marketing, along with my wife and business partner, Christine Hunt Winitz, has been to produce elite seasonal catalogs . Because Claremont Rug Company serves aficionados on five continents, it has always been impractical to think that the gallery space alone would suffice as a means to introduce our rugs to those interested in them. For the past 26 years our catalog and since 1999 our website have provided an alternative method to present our collection. Our current catalog, the 76th, contains 29 rugs for sale and an additional 12 pictured in situ in some of our clients’ homes, which help those who cannot visit our gallery to visualize how carpets can be used in their own residences. But simply wishing to have a first-rate print catalog and actually creating one is no simple task. Christine and our graphic designer spend months on each issue, creating the layout and writing the texts. Our in-house photography and color-correction specialists spends untold hours to show the rugs color-accurately in their finest detail. The accompanying texts are educational and informational and require much thought. The actual production of the catalog involves a significant outlay of energy, checking proofs to ensure that the reproduction is as close as possible to perfect. At the same time, we are constantly honing our extensive website that contains high-resolution images of over 800 rugs, which provide clients a deeply enjoyable experience of navigating through an infinitely broader and up-to-date array than can be conveyed in our catalogs. In truth, although Second Golden Age rugs continue to be significantly undervalued, there is a growing recognition of their great beauty and abundant creativity among art and antique connoisseurs. However, the overriding achievement of the brochures is their attention to detail, their educational nature and their respect for antique Oriental rug as an art form. This is no less than our clientele of collectors and lovers of beauty deserve.